You might think that selling a house that needs repairs in Calgary will be difficult. However, buying fixer-uppers is our specialty! Learn more about what we can do for you in our latest post! If you want to sell a run-down, Calgary house, one of the last things you will likely want to do is spend money to make it look nice. It doesn’t always make sense to repair a house before selling it. There are no guarantees that you will see a return on your investment, so in essence, you could be throwing your money away for nothing. Show Much Will It Cost To Fix? Don’t try to price it all out yourself, get a few contractors to provide estimates on the needed work. This lets you know the exact price of the work and DO NOT try to do the repairs / renos yourself. If you dont have YEARS of experience with this hands on work then you will just make a mess of things and create even more issues and waste a lot of money. 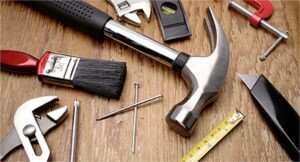 People are more inclined to buy a Calgary fixer-upper property if the repairs are more cosmetic. If you want to find a broader range of buyers, make sure that a person could at least live in the house is they chose to while making repairs while living there. It can be a bit more difficult to find a buyer for an uninhabitable house. You can pay to fix and list the house. You can sell it directly to us at CA HOMES. We are a fixer upper specialist! You could try to list it as is. If you decide to fix and list, make sure you know how much you will have to pay out of pocket. Aside from the repair costs, listing your Calgary house will require marketing, cleaning, and commissions all be paid. CA HOMES is very interested in buying your Calgary fixer-upper property. We love to make the repairs and revitalize the house for new buyers. There is never any obligation or hassle when you receive an offer, learn more about what a direct sale can do. It might be the solution you have been waiting for! Trying to list a run-down property can be difficult. When people see a photo of a damaged house, they are very quick to move on to the next listing. Not everyone is comfortable with spending a fortune on a house, only to have to spend more time getting it ready. When trying to sell your Calgary fixer-upper property, one of the best decisions you can make is to sell it to CA HOMES.